U.S. 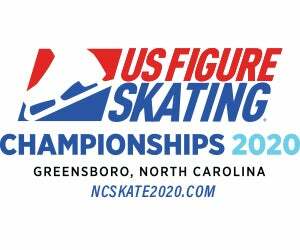 Figure Skating today announced the selection of Greensboro, North Carolina, as the host city for the 2020 U.S. Figure Skating Championships, January 20-26, 2020. The Greensboro Coliseum Complex will again serve as the host venue. This marks the third time that Greensboro has been chosen to host the U.S. Championships in the last decade (2011, 2015, 2020). The annual event, held since 1914, is the nation's most prestigious figure skating event, with past champions including Michelle Kwan, Kristi Yamaguchi, Brian Boitano and Scott Hamilton. Champions will be crowned in ladies, men's, pairs and ice dance at the championship and junior levels of the U.S. Figure Skating competitive structure. All-Event Ticket Packages for the 2020 U.S. Figure Skating Championships go on sale today. Weekend Ticket Packages and individual tickets will go on sale in 2019. The 2020 U.S. Championships will be broadcast live on NBC and streamed live on the Figure Skating Pass on NBC Sports Gold. Recent U.S. Championships were held in Saint Paul, Minnesota (2016), Kansas City, Missouri (2017) and San Jose, California (2018). The 2019 U.S. Figure Skating Championships are set for Jan. 18-27, 2019, in Detroit. The National High Performance Developmental Team Camp for juvenile, intermediate and novice athletes will be held in nearby Morrisville, North Carolina, Jan. 26–29, 2020. To purchase All-Event Ticket Packages, to receive 2020 U.S. Figure Skating Championships news and ticket alerts, and for more information, visit www.ncskate2020.com.